The Internet has become increasingly visual, which means home business owners need to have quality, enticing graphics for their products, promotions, and social media. This can be difficult for home business owners with no graphic design background and a limited budget. 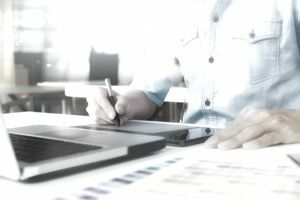 Fortunately, 8 free and low-cost options can help you create beautiful, compelling graphics to create products, websites, and marketing materials for your home business. Canva is a popular online tool because of its wide range of options and free resources. Canva makes it easy to create a graphic for any social media platform or another resource by having pre-made templates in the appropriate sizes. Just choose a Facebook banner, Pinterest pin, blog post, book cover or whatever your graphics project entails. Canva templates are available in a wide assortment of business options including presentations, letterhead, certificates, business cards, gift certificates and more. You can upload your own image or use any of Canva’s free images. Or for $1 you can buy images. Canva also offers various text and shape designs to include on your graphic both for free or $1. Canva even offers a free design school to help you create compelling graphics. You can share your design from Canva or download it to use later. Like Canva, BeFunky is an online tool offering a host of pre-made templates you can use to create your design. Along with social media headers and graphics, and blog post images, BeFunky has templates for brochures, menus, invitations, greeting cards and more. You can upload your own image or use the available free images and text options. BeFunky has an affordable premium option that eliminates the ads that appear in the free option. For $34.94 per year or $4.95 a month, you can have access to the free and plus options. While it’s not as well known as some of the other options, iPiccy’s free graphics tool is worth checking out. Its Blender Tab offers a variety of editing options including various fonts, layered pictures, stickers, and more. FatPaint is a fast, free, online tool you can use to make graphics, logos, banners and more. You can edit photos as well as create page layouts, 2D and 3D images, blended images, vector drawing, and more. It also has free fonts, images, clipart, and brushes. Plus it works with pressure-sensitive pen tablets. PicMonkey is especially helpful if you’re using your own photos to create graphics. You can easily crop, resize and add cool elements to your photo. PicMonkey has a free option (click on the "Edit" icon at the top of the page), but also some premium options with more bells and whistles that you test in a free trial. Like PicMonkey, Pixlr is ideal for editing your photos. It offers an express option for quick tweaks such as adding borders or overlays, or the full editor for changing colors, working in layers, and more. It can give you good practice in using graphic design software without having to invest in it first. And since it’s web-based, you don’t have to download the software either. If you’re interested in creating interactive graphics, such as infographics, charts, or maps, then Infogr.am is a great option. You can add a variety of your own content including text and even video. The program is easy to use and allows you to share from right within the work area. If you’re in need of a quick quote graphic, Recite is a fast and easy option. You can choose from a variety of background templates and add your own quote. Simply add your quote, preview it on the available templates, select the one you like and you’re done. You can share to Facebook, Twitter, Pinterest, Tumblr, and StumbleUpon or you can download it. Many of these options offer free and low-cost graphics, or you can use your own. Along with free graphic design tools, there is a host of resources offering free graphics and photos you can use on your website, social media, and other home business graphics needs.